Table entry to include in a table row. 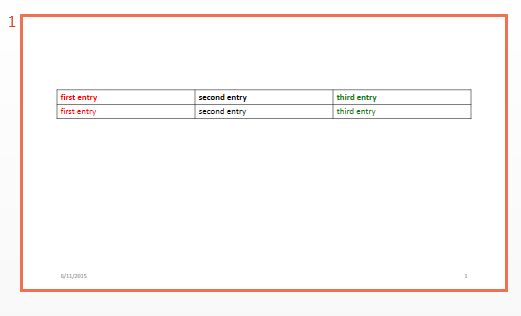 To add content to a table entry, append a character vector or one or more mlreportgen.ppt.Paragraph objects. tableEntryObj = TableEntry() creates an empty table entry object. Table entry, returned as an mlreportgen.ppt.TableEntry object. Add content to table entry.